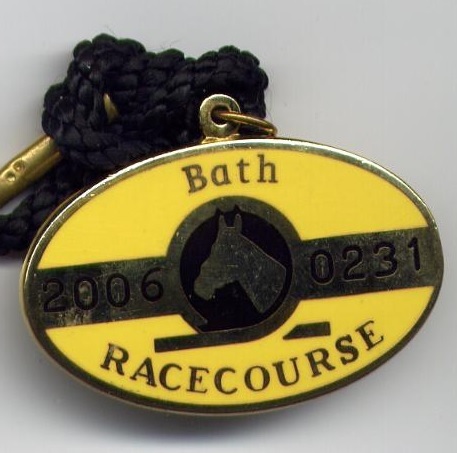 The earliest records indicate that thoroughbred racing first took place in the vicinity of the city of Bath at Claverton Down in 1728. 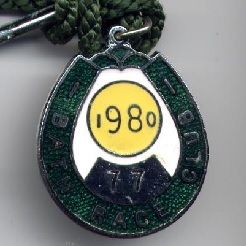 However, prior to this date a Galloway Plate was contested in 1716.  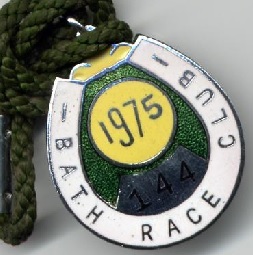 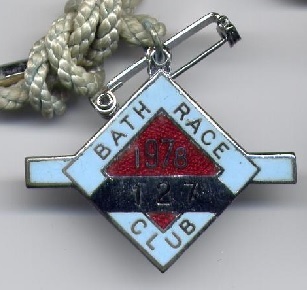 Baily’s Racing Register recorded a meeting in Bath on Wednesday 25th September 1728 with the result shown below. Racing continued to be staged at this venue until 1796, after which meetings transferred to the present day Lansdown course in 1811. 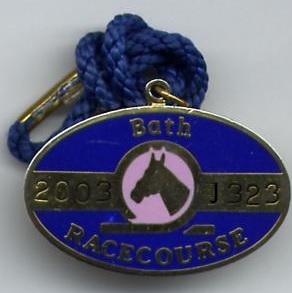 That inaugural three day meeting, from Wednesday 3rd to Friday 5th July 1811, opened with a 100 guineas match over two miles in which Sir John Hawkin’s Ringdove justified odds of 4/7 to beat Mr Peach’s Barbara. 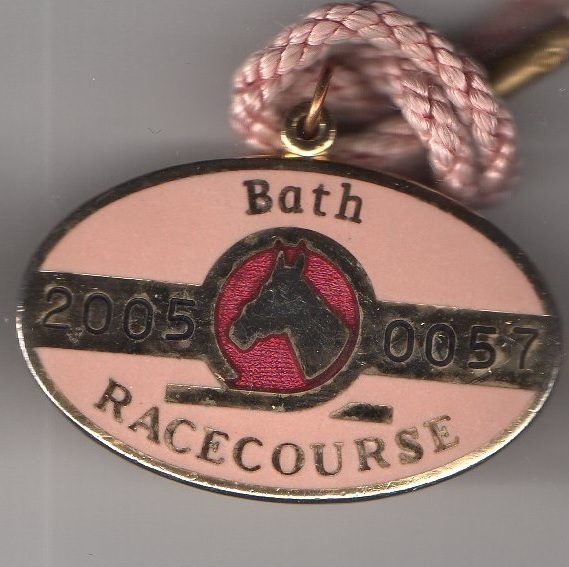 Sir H Lippincott won the City Members Plate and Bath and West of England Club Purse with Kangaroo. 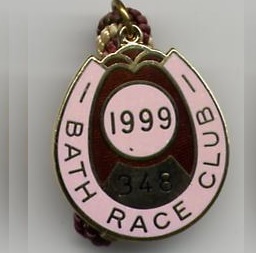 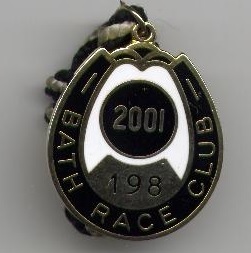 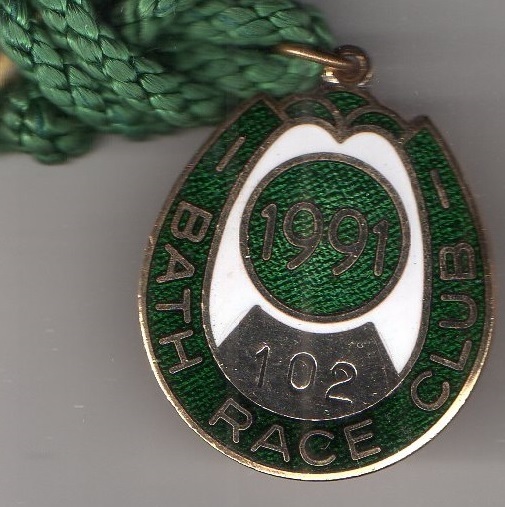 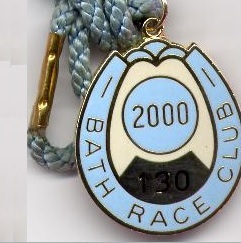 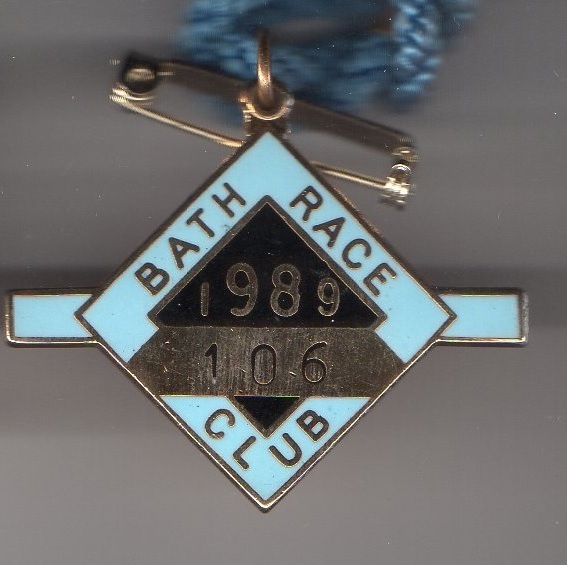 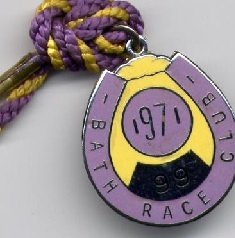 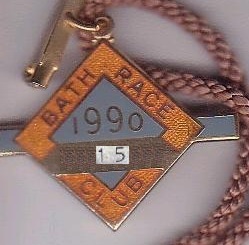 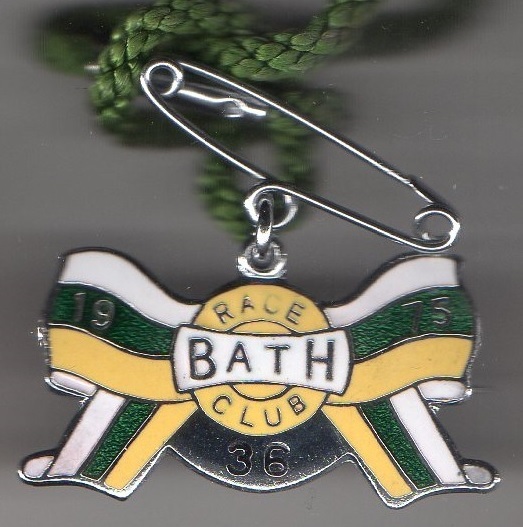 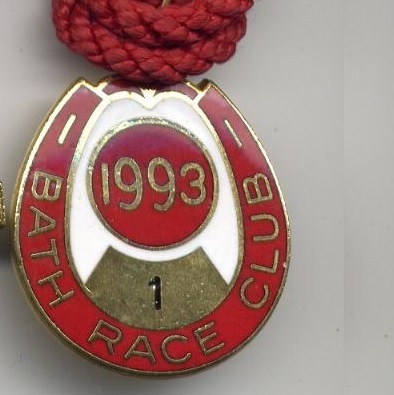 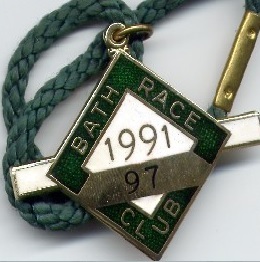 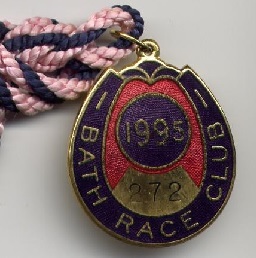 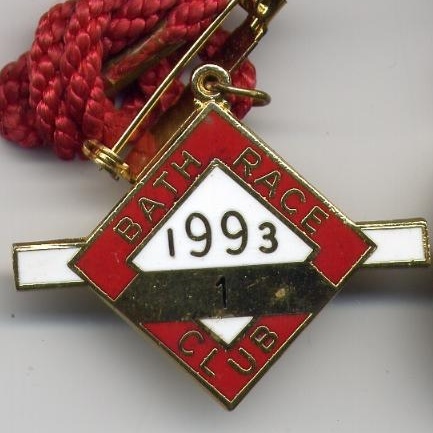 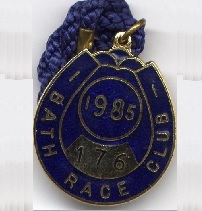 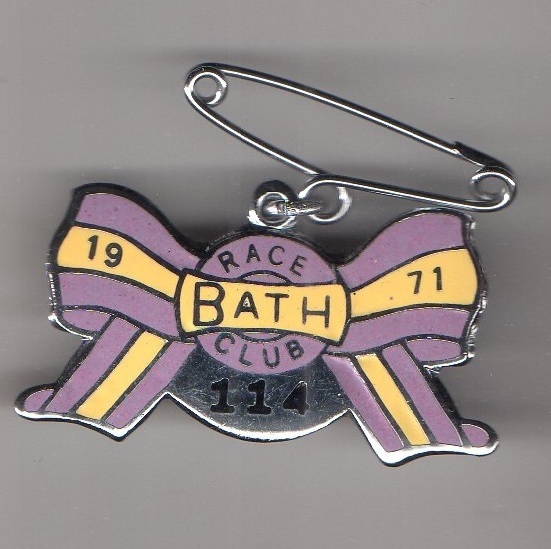 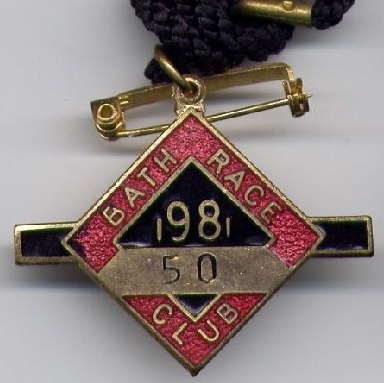 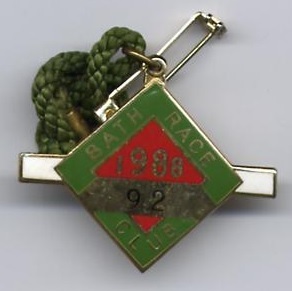 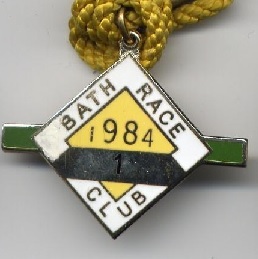 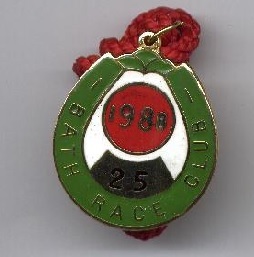 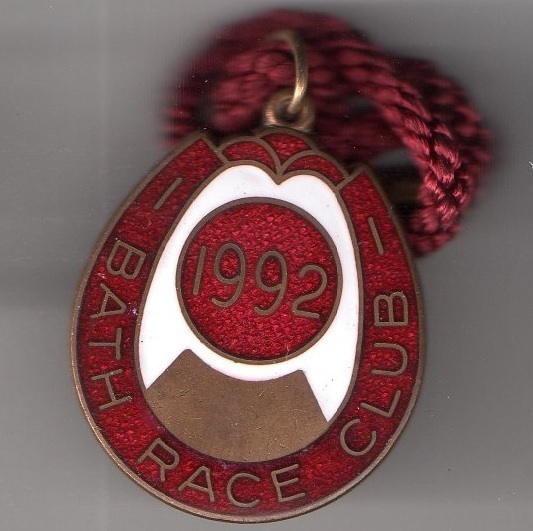 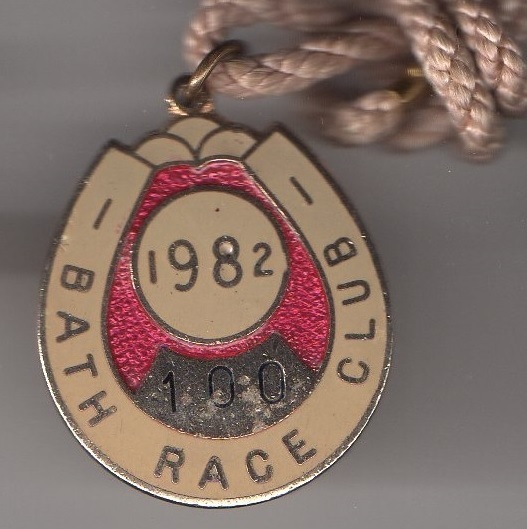 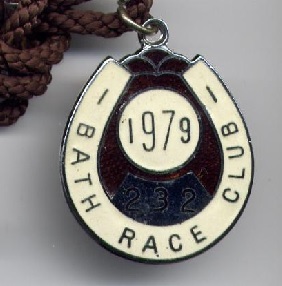 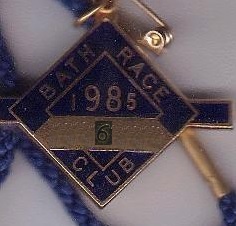 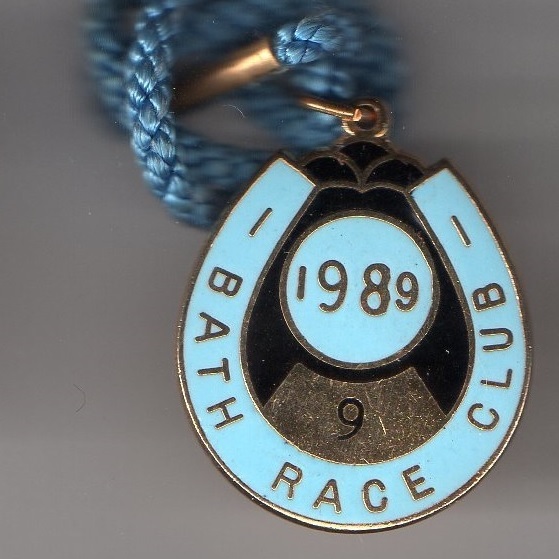 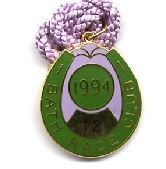 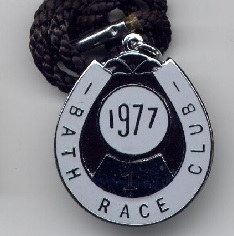 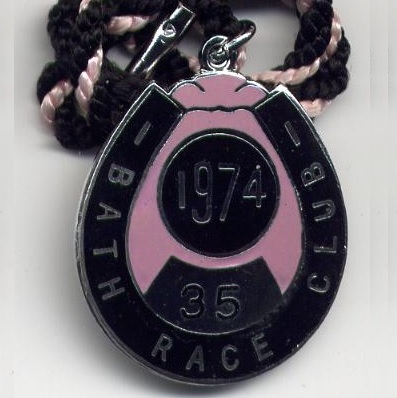 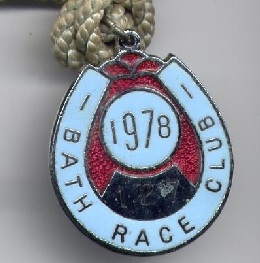 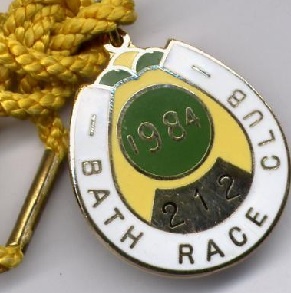 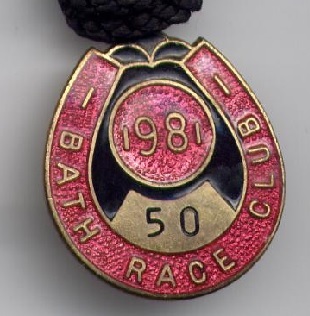 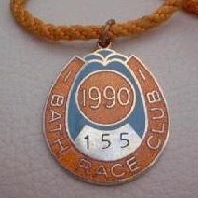 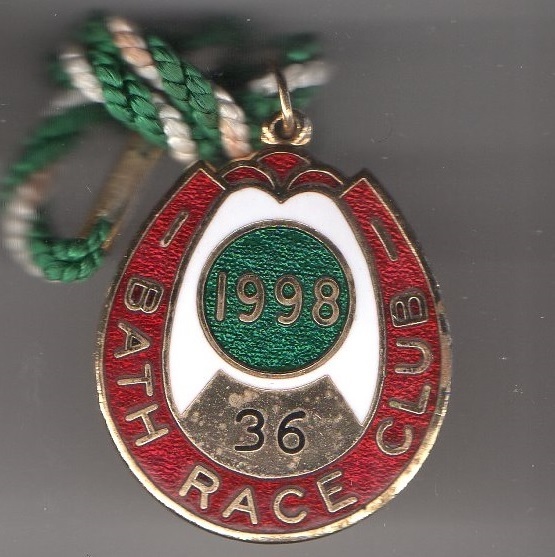 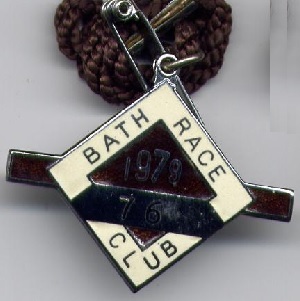 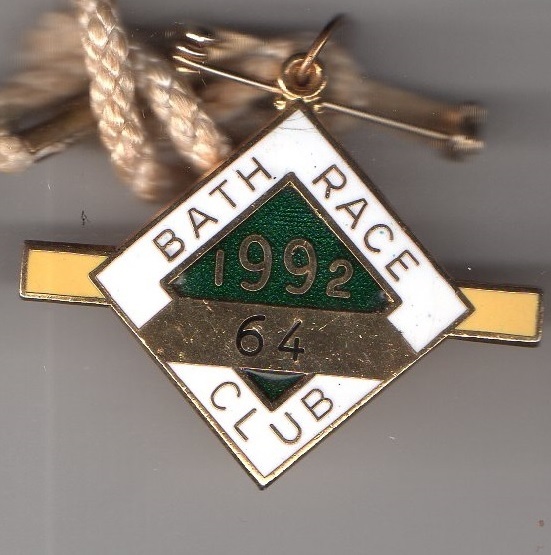 Full details of this inaugural Lansdown meeting are shown amongst the display of Bath member’s badges. 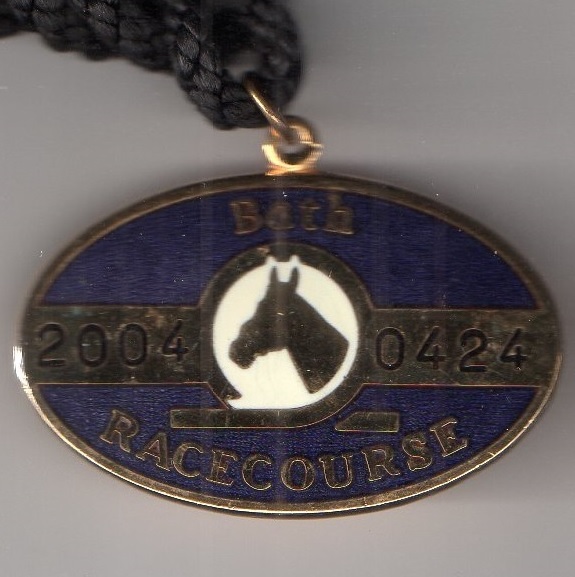 The course can rightly claim to be the highest Flat racing course above sea level in England at 780 feet, although the National Hunt courses of Exeter and Hexham are both higher. 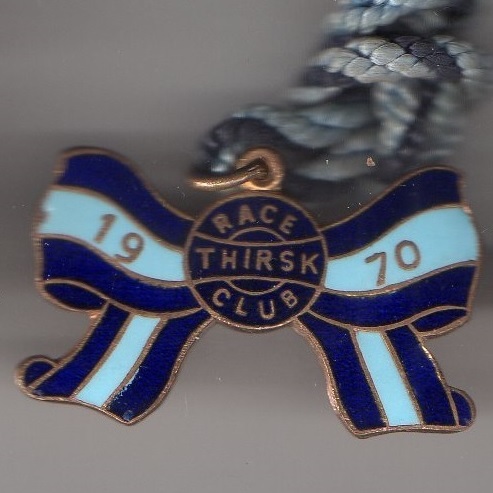 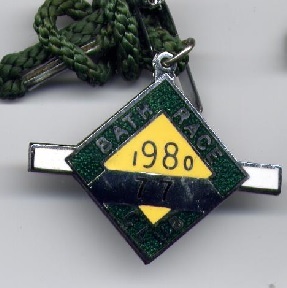 Racing ceased during both World Wars, and during the Second World War the course was used as an airfield by the RAF who named it RAF North Stoke. 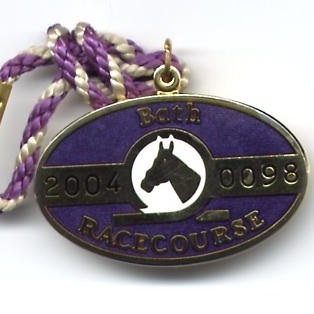 Currently the course hosts 16 meetings annually and is prepared to hold meetings on weekdays, weekends or evenings provided they can attract the crowds.